Please some details about the newer model RJ 1305? 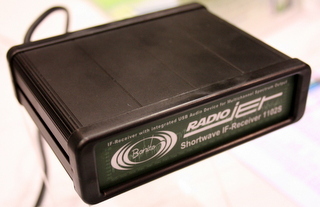 I really don’t know to make a choices between ELAD SDR and Bonito’s 1102. ? I needed for dx-ing on sw, which of them is more sensitive? Meanwhile I’m not sure if radio jet software works with Windows 10? There’s quite a big difference between the RadioJet and the FDM-S2. Both are great receivers and would serve you well for DXing. You simply need to decide if you want the full, wide-band functionality of an SDR. If you would like to record spectrum, for example, you would want to get the FDM-S2. 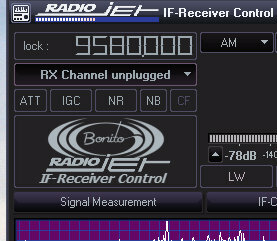 On the other hand, if you want a lightweight PC-controlled receiver (not an SDR) go with the RadioJet. Both work on Windows 10. 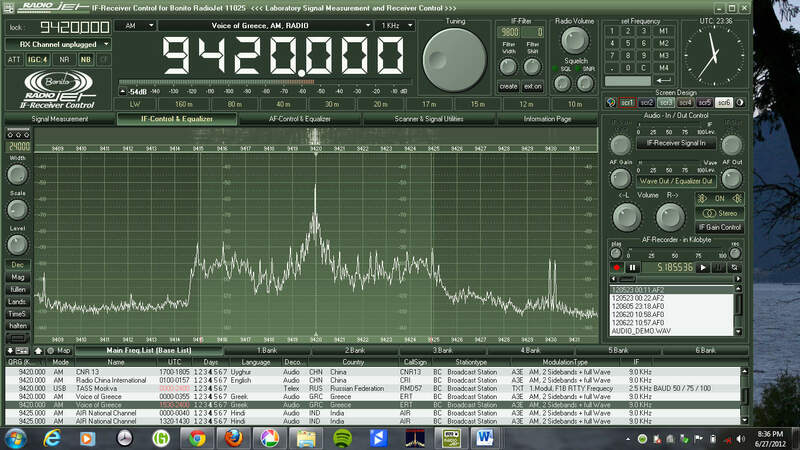 I recently bought my first license free PMR working on the 446mhz band. Some times I hear baby phones or truckers which I can have a chat with. So I am looking for a device with a good frequency range to start with, easy to understand and not to pricey. Would you considers this IF-receiver a good start ? thank you for writing such a review. and i hope youll answer me soon. The RadioJet IF receiver covers the HF spectrum (up to 30 MHz), thus no VHF/UHF frequencies of higher. With it, you could listen to pretty much any source that I regularly post here on the SWLing Post. 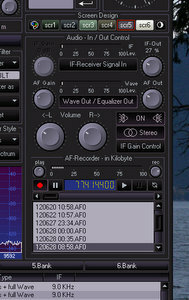 Above the HF bands, though, you should consider a triple conversion receiver/scanner. very helpful review of the Bonito. my question is two-fold…what is the input impedance for the antenna (for example, would 75-ohm coax on an Alpha-Delta Sloper work without a separate antenna tuner), and how much antenna input could the unit handle (long-wire DXpedition antennae, for example). Thanks! Hank, I believe the Bonito would easily handle any antenna you could feed it. The front end is pretty robust and designed for outdoor antennas. I’ve been using mine with a horizontal delta loop that probably has over 400 feet of wire in it. 75 ohms should be okay, though I do use an antenna tuner to tweak reception. 16,5dBm is good though not “superb” in my book. 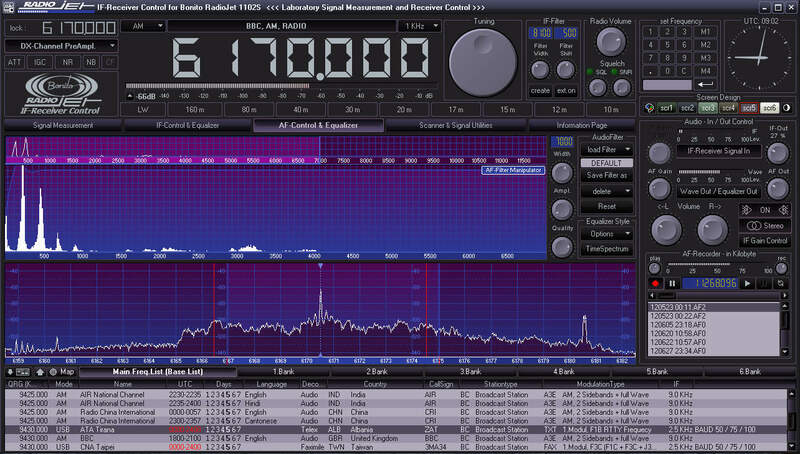 Looking in the ARRL charts it is in the league of a TS870 or FT1000MP, but don’t forget those have preselected frontends. I don’t really understand your last remark. So +16,5dBm on a SDR or +16,5dBm on an analog receiver is not comparable? In Funk Amateur magazine an excellent review appeared. The blockdiagram shows a AD8343 mixer as frontend, which has no further preselection. This mixer is specified at +16,5dBm IP3. The RadioJet specsheet mentions an IP3 of +29dBm (high IP). The “high IP” part between brackets actually means an attenuater is activated before the mixer. The first mixer is couples to a SI570 as first LO. This gives you a rough idea of the frontend. Thank you very much for the info, Paul. A +16,5 dBm IP3 puts the RadioJet in a superb score if the IP3 was meassured at 20 kHz of spacing. Anyway, the manufacturer advise about to not compare analogue technology with SDR´s with the same standards eventhough they also claim that the RadioJet is not a SDR. Very nice and interesting review Thomas, well done! Eventhough, I would like to know about your experience with the dynamic range of the RadioJet. Does it overload? Can it handle real long wire antennas and even Beverages? 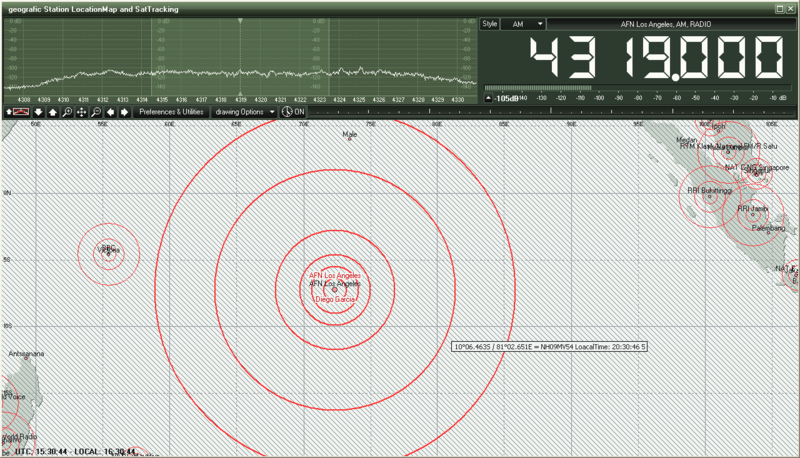 Could it be useful for MW DXing? Thank you very much and I´ll keep looking for any update of your review. Thank you, Julio. I have not noticed the RJ overloading at all. I also have a very strong local AM station near me on 1010 and have noticed no adverse effects from it anywhere on the spectrum. 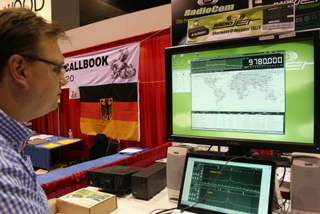 I think the RJ could be useful for MW DXing, but admittedly, I’m not much of a MW DXer, so have not tried in earnest. I will spend some time in MW and see how it compares to my other radios. Thank you very much for the info provided, I´ll take into account since I´m interested in buying the RadioJet. Any further detail will be appreciated. Thanks for the review. Do you know how far the radio could be separated from the computer? The house is so full of RF noise I am thinking of the radio out in the separated garage might help. That’s a tough call. It would be limited by the length of a USB cable. I think the maximum length a USB cable can be without it harming the performance and collecting too much RF is between 3-6 Meters (depending on if a device is hi or low speed). I would think you should keep the cable short. If you can’t really have a positive influence on the RF noise in the shack (by grounding stuff, checking for noisy power supplies, etc.) and you need an SDR that you can operate from a distance, consider the RFSpace NETSDR. It’s pricey, but (I hear) a killer performer. It connects to your PC by ethernet cable and is fully networkable. There may be other SDRs that can do this, but I know of none that give you full capabilities (like recording spectrum) remotely. It may be worth an email to Bonito in case they have any ideas. Thomas, thanks for the feedback. The RFSpace NETSDR is a bit pricey!! Looks like a USB cable’s maximum for high speed is about 16 feet. I need to think about things a bit more.